Upgrade a room in your home with beautiful furniture and accessories from Worlds Away and save money by doing so! 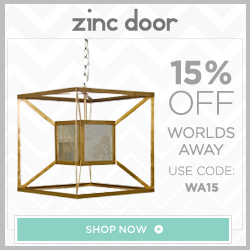 Right now, Zinc Door is offering 15% off Worlds Away with promo code WA15. 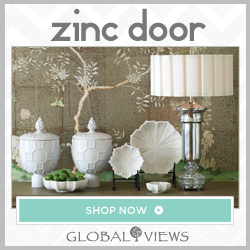 Don’t miss your chance to save on these stylish and modern designs. Enjoy!